But au contraire, Little Lucy has latched onto Luke, the likable, left-handed leader of the logging team. Uh-oh Dad, you might have a son-in-law if you're not careful. Or a grandchild, if she's not careful. Let's not think about that right now. Right now is the time to sit back and count your blessings. It's a parent's worst nightmare to see their daughter crying violently in their bedroom over a carton of Ben & Jerry's because they didn't get invited to the senior prom. Your pride and joy doesn't have to worry. The studliest boy in town asked her out and she was smart to say yes, otherwise he would have asked Giselle, the stuck up, daughter of a famous diplomat who moved into town not long ago from some fancy place that blue collar families like you can only dream of visiting. After you had to take out a 2nd mortgage on your house to pay for her hair and makeup for the big shebang, it is time to think about transportation. This is where we join in on the festivities. 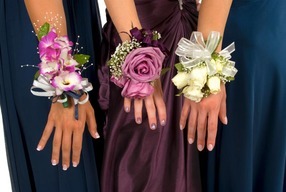 Yes, we here at Salt Lake Limousines, offer a full-service limousine option to prom and homecoming groups. We are completely flexible, affordable, and professional. Our drivers all have their CDL's and we have the friendliest bunch of chauffeurs north of Provo. Be sure to call us today to book a limousine! You'll find yourself impressing your daughter again and getting back on her good side after you totally screwed up and got her tickets to Limb Bizkit when she was just trying to see Justin Bieber dude! So baby, baby, baby please fill out our free quote form or call now!